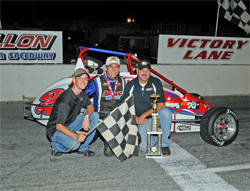 Jeremy Frankoski has the 2009 season long lead in the USAC Ford Focus Carolina Series. 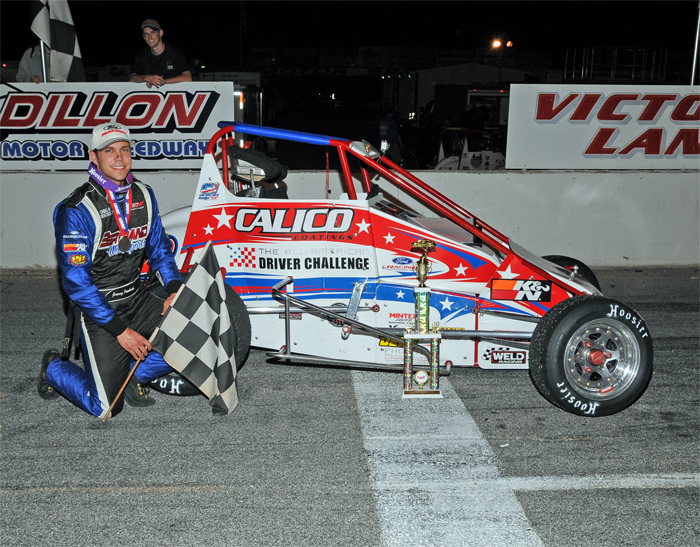 He recently took the checkered flag at Dillon Motor Speedway in the Calico Coatings All American driver Challenge Midget with K&N products. The win marked the fourth victory in the series for Frankoski who now counts two wins at the Dillon, South Carolina facility plus two wins at Hickory Motor Speedway in North Carolina. Frankoski was the fastest qualifier of the evening at Dillon Motor Speedway, but started in 6th place because of the inverted line up. Frankoski made his way to the front of the pack quickly. On lap 8 he was in second place behind race leader Scott Hunter. There was a caution at lap 10 and on the restart Frankoski made a pass for the lead and took it. Frankoski will next race in the USAC Ford Focus Carolina Series at Hickory Motor Speedway in North Carolina on October 3.